Joan Rivers "moved out of intensive care," being "kept comfortable"
UPDATE: Joan Rivers has died at the age of 81. 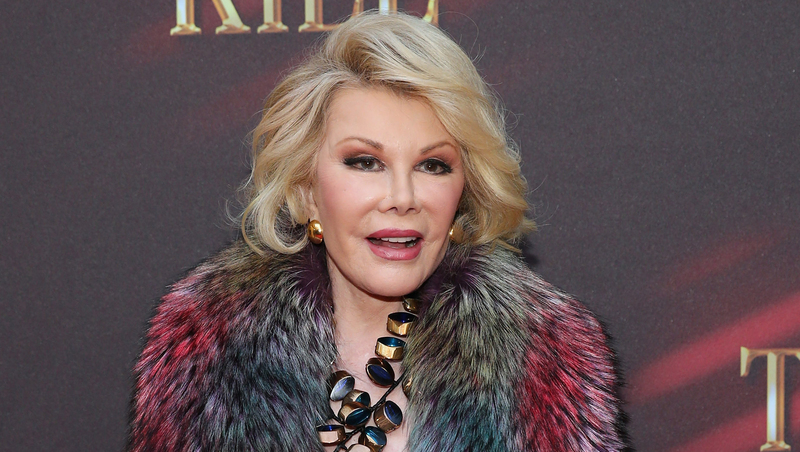 Joan Rivers has been moved out of intensive care, her daughter said in a statement Wednesday. Melissa Rivers provided an update on her mother's condition, saying, "My mother has been moved out of intensive care and into a private room where she is being kept comfortable. Thank you for your continued support." On Tuesday, Rivers' daughter had confirmed the comedian was on life support. "On behalf of my mother and our family, we are extremely grateful for all the love and support we've received. At this time she does remain on life support," she said. "I know my mother would be overwhelmed by the continued outpouring of kindness and I want to thank everyone for keeping us in their prayers." The comedian, writer and television personality was rushed to Mount Sinai Hospital in New York last Thursday after going into cardiac arrest during a procedure at a doctor's office. On Sunday, Melissa Rivers said, "Thank you for your continued love and support. We are keeping our fingers crossed."